Advanced Cleaner for use with the Texatherm Cleaning Process & Bonnet Maintenance Cleaning or as a pre-spray to other cleaning methods. Carpet Spray Cleaner, anti static and sanitiser. Use in conjunction with the Texatherm Neutraliser during the Texatherm cleaning process or as a pre-spray to other cleaning methods. 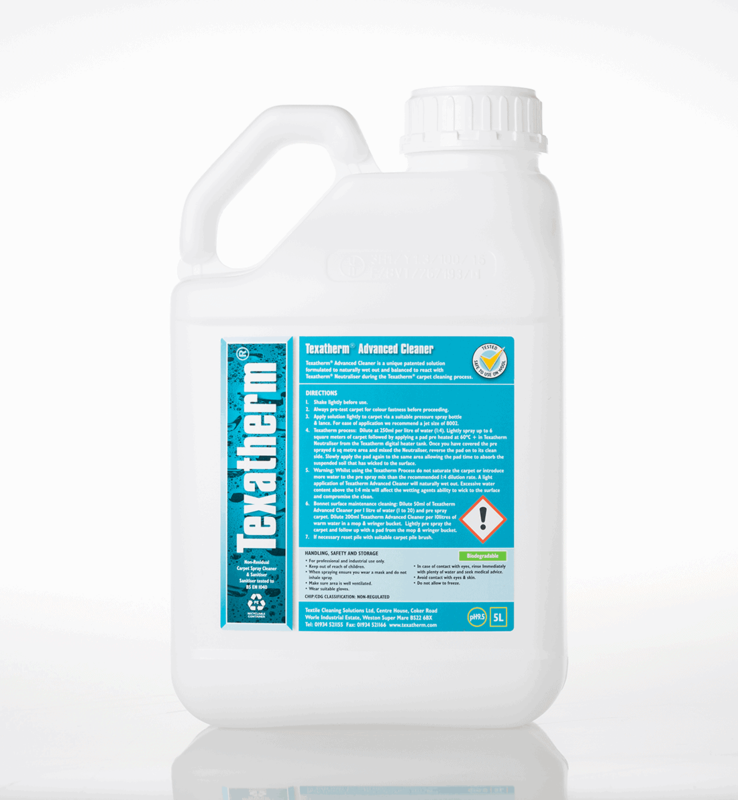 Texatherm Advanced Cleaner is a unique patented solution formulated to naturally wet out and balanced to react with Texatherm Neutraliser during the Texatherm carpet cleaning process. 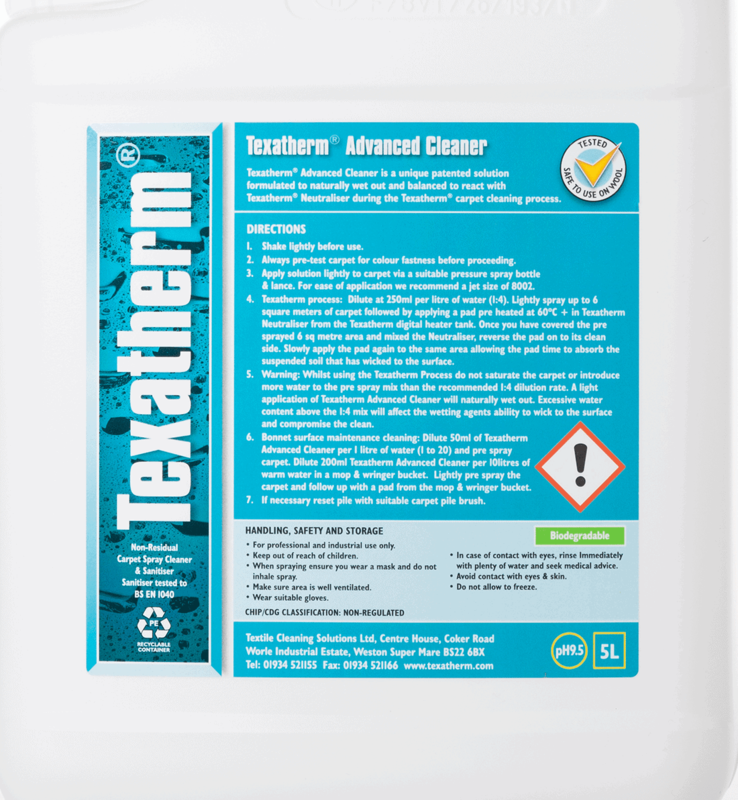 Texatherm Advanced Cleaner can also be used at higher dilution rates as a pre-spray prior to extraction cleaning and bonnet maintenance.